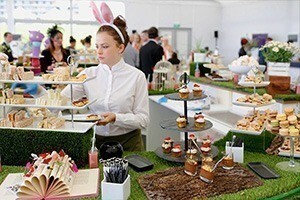 Eventmasters are thrilled to offer the finest Royal Ascot hospitality packages from the stunning Ascot Village from Tuesday 18th – Saturday 22nd June 2019. We are delighted to announce that in 2019 we will once again be providing official Royal Ascot corporate hospitality packages as an Official Hospitality Supplier (OHS) appointed directly by Ascot Racecourse. The Village offers a terrific Royal Ascot hospitality experience for both you and your esteemed guests. Standing opposite the fabulous Grandstand with impressive views of the final straight, be sure to witness the action unfold from alongside the track and soak up the spine-tingling atmosphere as competitors hurtle towards the finish line. Savour a superb four-course luncheon and treat yourself the finest wines, beers and soft drinks from the complimentary bar. Make it a day to remember at this splendid hospitality facility. Treat yourself, your employees or your important clients to this magnificent sporting and social occasion with our Royal Ascot hospitality packages. In this glorious setting, tradition, pageantry and style intertwine to create a truly unforgettable experience. The Village, situated on the Heath, is a delightful take on English eccentricity and provides something a little different for your distinguished guests. Standing alongside the track with a stunning view looking towards the distinctive Grandstand, attendants will be sure to savour the world class racing on offer. Featuring colourful interiors and inventive dining, The Village is a place where visitors should expect the unexpected although you can arrive safe in the knowledge you and your guests will enjoy a memorable day. Bookings can be made for a minimum of two guests, with private tables available for parties of ten or more. The Ascot Village is a wonderful hospitality facility which provides guests with outstanding views and first-class corporate entertainment. Myself and friends enjoyed one of the finest social events of the year. The hospitality was first-rate and horse racing was absolutely fantastic; thank you Eventmasters. It was a day for me that certainly lives long in the memory. The noise was deafening when the horses came down the final straight. I would go again for the atmosphere alone. 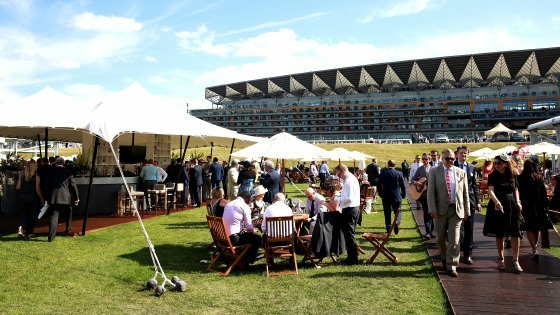 We have a dedicated page where you can view, download and print all of our event information for Royal Ascot hospitality packages.